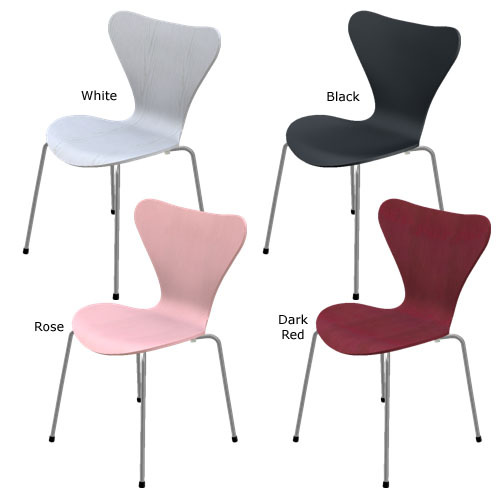 Fritz Hansen Series-7 (3107) Modern Danish Design Chair by Arne Jacobsen, All Colors - This is the listing for the Series 7 3107 chair in Ash Lazur Finish. 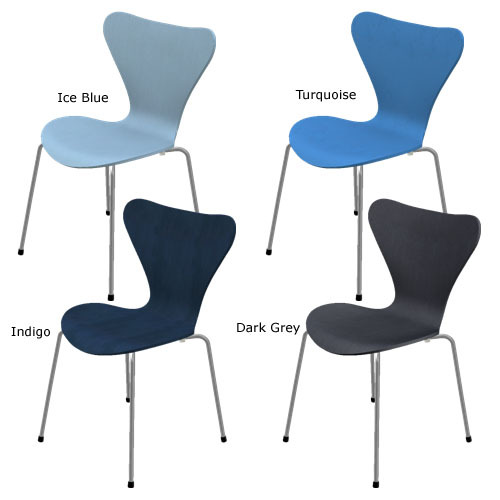 The Ash Lazur Finish is available in twelve colors, all listed below. The Ash Lazur finish has a rainy textured look that shines through the vibrant colors as well. The Series 7 3107 chair was designed by Arne Jacobsen for Friz Hansen in Denmark. 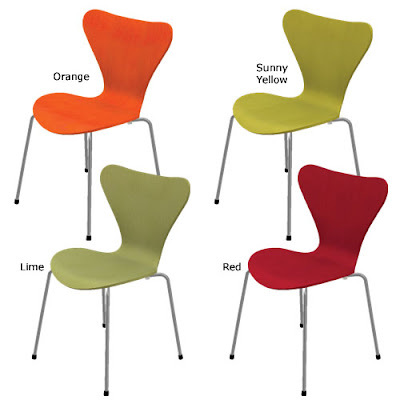 The 3107 chair is a modern icon that is available in a variety of materials and a large spectrum of colors. The laminated seat make for a comfortable and elegant seating.